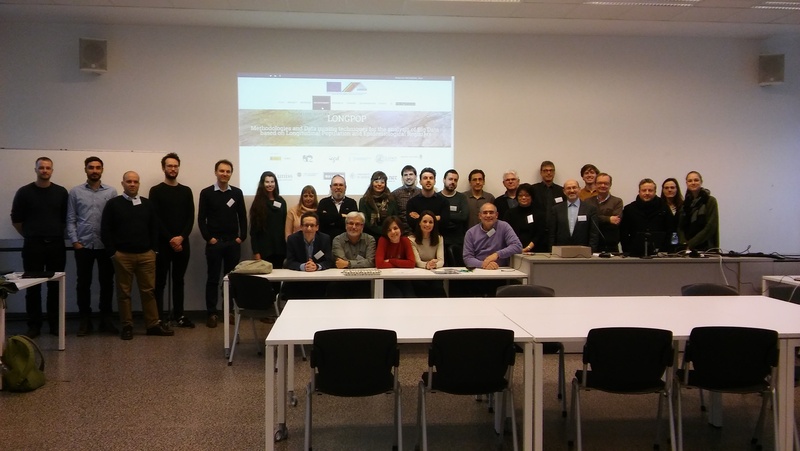 The LONGPOP Network members, represented by the scientists-in-charge, the Early-Stage Researchers and a member from the partner organisation – IECA – will meet on 1st and 2nd of February in Leuven, hosted by the KU Leuven, one of the beneficiaries of the project. On the 1st of February, the meeting will be attended only by the members and chaired by Diego Ramiro from CSIC, the project coordinator. The aim is to present the progress against the project objectives and deliverables, planning of next activities and preparation of the Mid-term meeting. The day after, that meeting will be also attended by the Project Officer and an External Evaluator appointed by the Research Executive Agency. The objective of this event is to assess the fulfilment of all aspects (scientific, training, management, networking, etc.) of the project, particularly the training activities and the networking aspects across different sectors. The organisation of this meeting (according to the Grant Agreement) is compulsory for all MSCA Innovative Training Networks, and it is the precursory to the presentation of the Periodic Report.